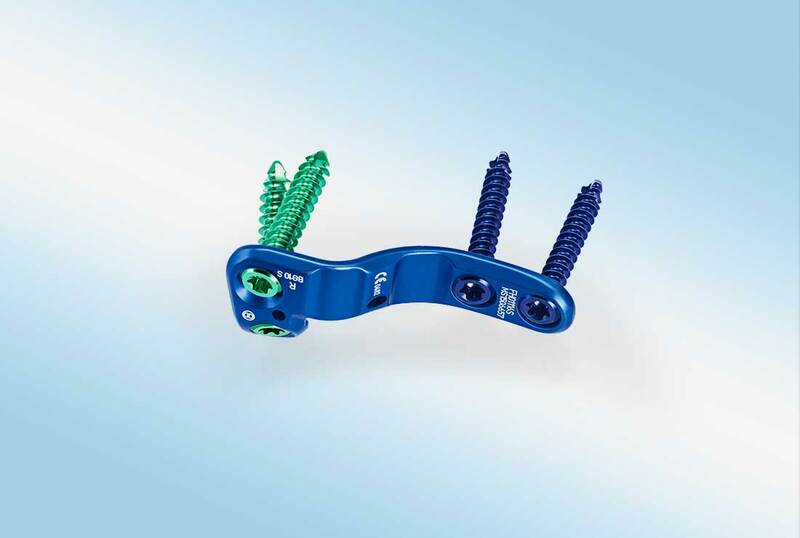 The MetaFix™ PlantarMax™ locking plate is designed as the first plantar/medial Lapidus fixation plate. It takes advantage of the biomechanically superior placement on the tension side of tarsometatarsal joint (TMT1) in Hallux Valgus interventions. A medial incision allows adequate exposure of the TMT1 joint for both joint preparation and plate fixation. 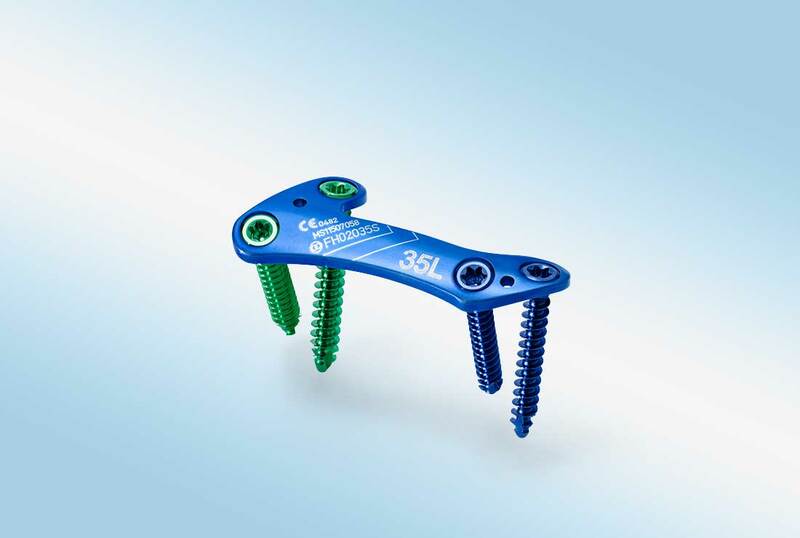 Additionally, fixation on the tension side of the joint is superior to dorsal or medial fixation and reduces non-union rates through compressing osteotomy surfaces as the patient proceeds to weight bearing. 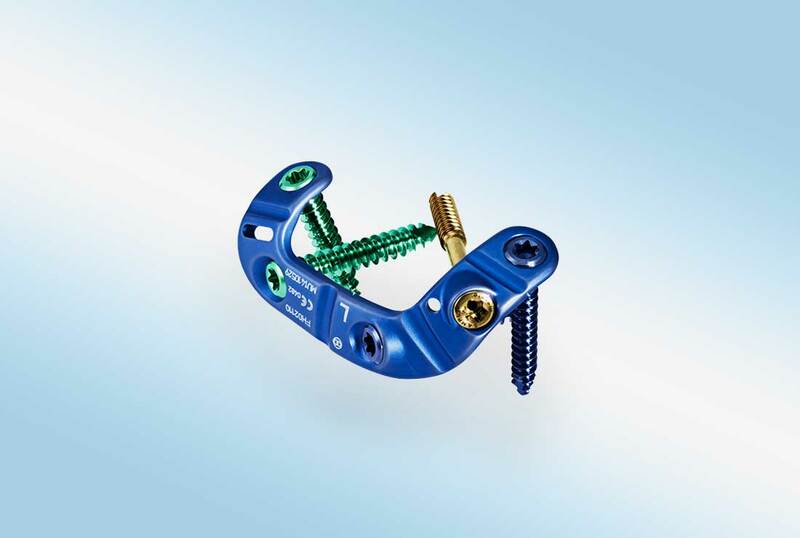 The MetaFix™ PlantarMax™ Lapidus Plate is designed with two plantar locking screws, two medial locking screws and an interfragmentary compression screw that is inserted through the plate and into cuneiform Specially designed bending zones allow the surgeon to accommodate varying patient anatomy by bending the plate according to the subjacent. 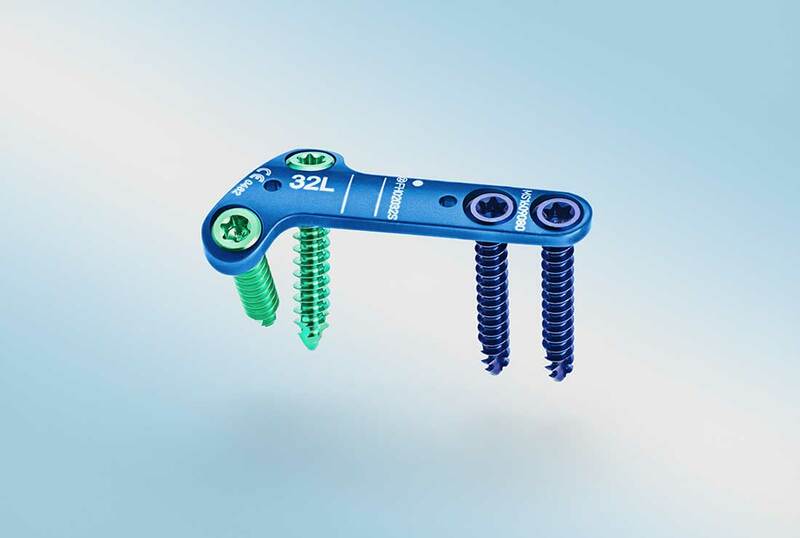 Thus, the MetaFix™ PlantarMax™ locking plate achieves compression as well as rigid, stable fixation that facilitates early weight bearing with little soft-tissue interference. 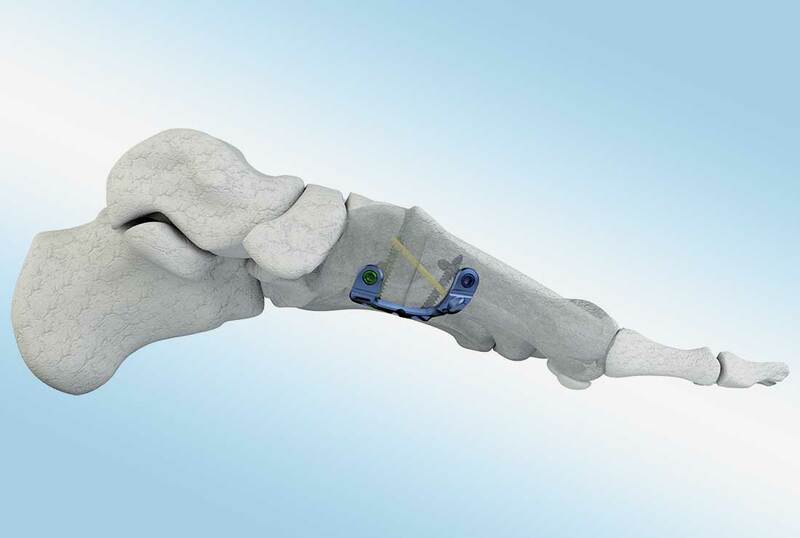 Fixation of fresh fractures, revision procedures, joint fusion, and reconstruction of small bones of the hand, feet, wrist, ankles, fingers, and toes.